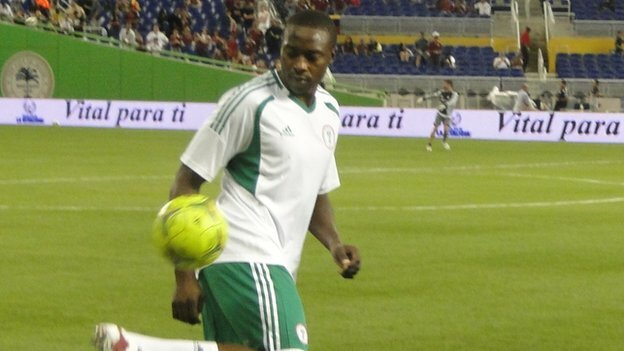 Ameobi to make Nigeria comeback? Shola Ameobi is set to make a comeback to the national set up after it's been revealed that he's being considered for the Nelson Mandela Challenge against South Africa next month. The 31 year old veteran was part of the Provisional Super Eagles squad for the 2013 African Cup of Nations but opted out owing to a clause in his Newcastle United contract. One of the coaches from Stephen Keshi’s backroom staff told supersport.com that the Manager is lining up Ameobi for a recall. The striker’s future at Newcastle has been much speculated with both Birmingham and Bolton being touted as possible destinations. The match will be played just four days before magpies kick their 2013-14 campaign against Manchester City on August 19th.